This is great news! Your surgery is now offering you the opportunity of having your prescription sent over to us electronically instead of printing on paper. You don’t need to go to the surgery to pick up your prescription, saving you lots of time and hassle, plus, we’ll be helping to save the planet a little. • Call in to one of our pharmacies or speak to us over the phone. • Call your GP and organise it with them. Will my service be disrupted? Absolutely not. It will be enhanced more than anything else. 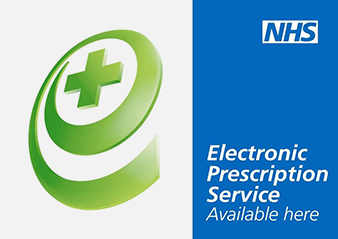 Going electronice makes the whole process of reordering medicines much more streamlined and easier. What are the benefits for me as a patient? Not only will it be saving you time and hassle since you won’t need to pick up your prescription from the GP, your privacy and confidentiality will become more secure by going paperless. Are all prescriptions going paperless? Eventually, yes. By going paperless, the NHS will be saving time and money which can be used for other services, let alone increase efficiencies between GP’s and Pharmacies.